This is a 2-story holiday home with bi-fold doors off the lounge and dining room to beautiful views of the of Endeavour Inlet from the deck. The legendary Queen Charlotte walking track in on our door step. Our home is situated 20 minutes walk through native bush to Furneaux Lodge. Our 2-tonne mooring is just off our jetty. There is a 12ft aluminium dinghy and trailer available for use as well as 3 kayaks to enjoy free of charge. Access to our home is via the water taxi which comes past our jetty 4 times a day. You have the choice of either Cougar Line or Endeavour Express. All linen is provided except for towels please bring your own. There is a 2nd bathroom with shower downstairs. 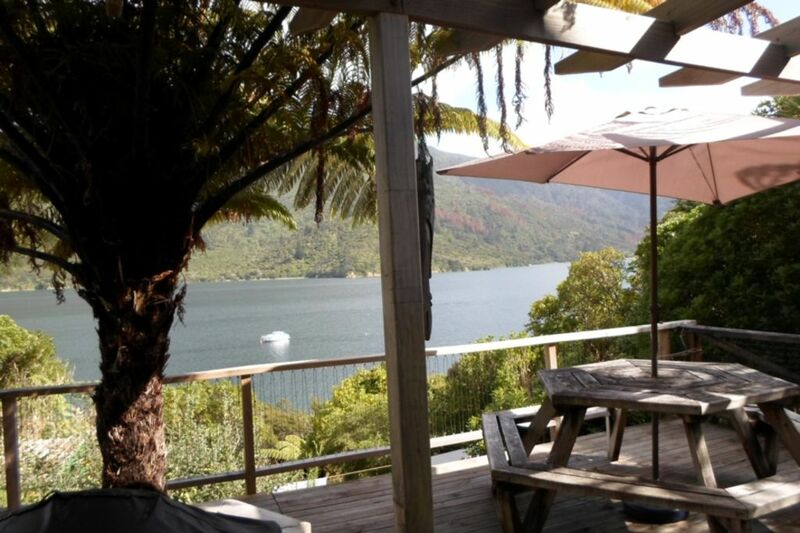 The house is welcoming and comfortable with a stunning view of Endeavour Inlet just a short walk from the jetty. We loved our stay. Thanks for your feedback we are pleased you enjoyed our home. Great property , well equip ed. Nice location , very relaxing a good break ?? A great house in a beautiful place.